AnchorCert Gem Lab has the knowledge, experience and full scientific equipment, to identify the colour origin and colour description of both colourless and fancy coloured diamonds. The wide variety of colours found in diamonds means the task of identifying the natural colour origin of a diamond is complex. 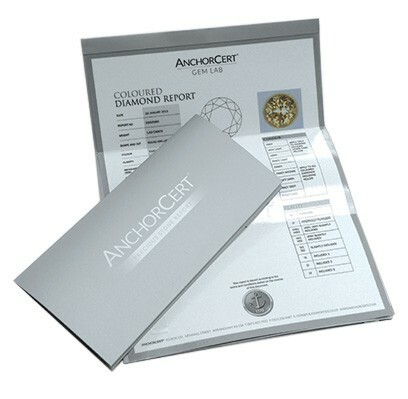 AnchorCert Gem Lab can grade fancy coloured diamonds and accurately describe a diamond’s colour. Only a professional diamond grading laboratory such as AnchorCert Gem Lab can accurately differentiate and grade coloured diamonds, and identify colour origin as natural, processed, artificially treated or as synthetic. AnchorCert Gem Lab is ideally situated to help protect diamond dealers, manufacturers, retailers, jewellery consumers, and collectors. 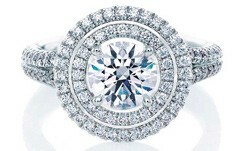 Identifying and differentiating colour in fancy coloured diamonds is also influenced by light refraction and fluorescence. Colour differentiation can be highly subjective. AnchorCert Gem Lab professional gemmologists analyse thousands of stones and are very consistent and accurate in the colour grading of fancy coloured diamonds. Reference master stones are used for grading, and the final colour grade is a consensus opinion of several experienced gemologists.